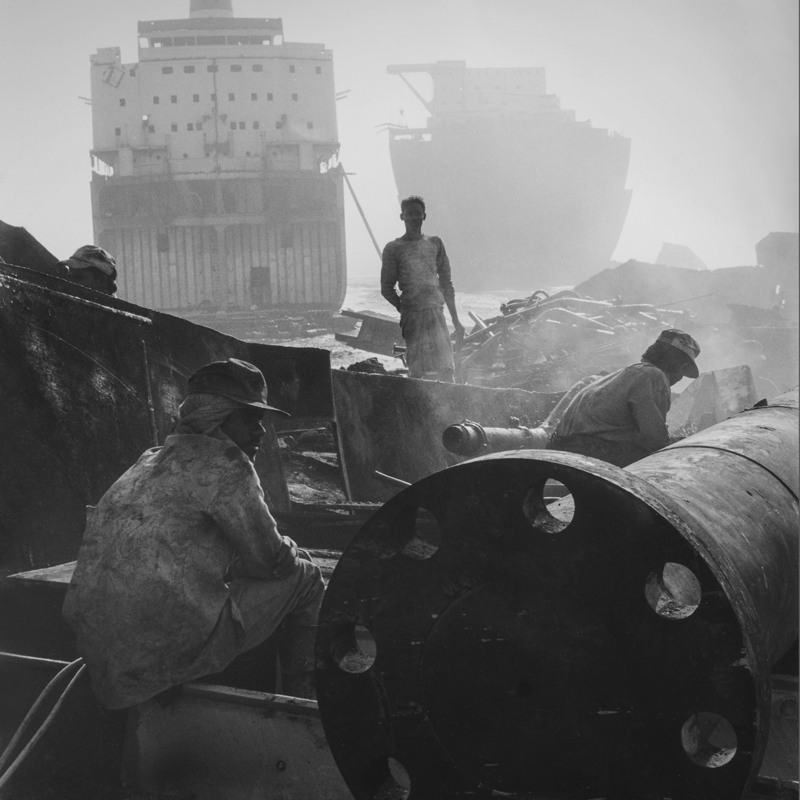 This image was part of a series of documentary images shot in 1998 of ship breakers on a beach just outside of the city of Chittagong in Bangladesh. The beach is the last port of call for numerous huge ships which are stripped down to their raw materials often with just pure brute force. While the ship breakers were mainly concerned with recovering steel and other metals from the ships they would also have to remove asbestos and other harmful materials from the ship. While I was using digital cameras at the time I decided to shoot the whole project with the Hasselblad. The images were commissioned by a London based development organisation.